There is an old saying in sports… If you want to be the best, you have to beat the best. Yet so many soccer players dread playing tough competition. Many soccer players would rather win some easy games than test themselves and raise their level of play. You may fear that losing against any team indicates your lack of ability. The thinking is that if you don’t lose, then you are somehow good at soccer… but good is not great. If you want to be great, then you need to go through the growth process of winning and losing, putting it on the line, and taking risks. 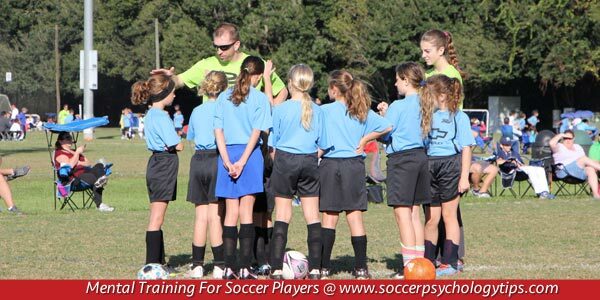 You cannot become a stronger soccer player by playing weaker opponents. It is impossible to develop a mentally tough mindset, hone your soccer skills, and take your game to the next level if you are not challenged by tougher competition. The USMNT is preparing themselves to make a run at the 2018 World Cup. In the 2014 World Cup, the US squad made it out of the group of death but was eliminated in the Round of 16. The USMNT does not want to suffer the same fate as in 2014, so the team is looking to sharpen their competitive mindset by facing the world’s best competition. The Men’s US national soccer team recently drew one of the toughest groups (Colombia, Costa Rica and Paraguay) for this summer’s 2016 Copa América Centenario Soccer Tournament. This time, the US squad is looking forward to the challenge. Jurgen Klinsmann, head coach of the USMNT, knows the only way to achieve the ultimate goal of winning the World Cup is to challenge themselves against the best in the world and advance deep in the Copa América Centenario. FOX Sports soccer analyst and former US national team defender Alexi Lalas agrees that the USMNT needs to face stiff competition in order to climb the ranks of international soccer. There is no reward without risk. Let’s put it in soccer terms… You can’t score a goal, if you don’t risk the chance of missing the shot. But even missing the shot, if viewed in the proper light, can teach you how to make the most out of your next opportunity. Redefine a successful performance. Going from good to great is not an overnight journey. When playing elite teams, determine what success would be for you regardless of the final outcome. It may be that you play a certain amount of time past midfield or that you improve control of the ball. These little battles will help you advance your game and toughen your competitive spirit.